Good evening Yankees family. Here is a quick hit regarding one of the Yankees outfield prospects to end your night here on the blog. 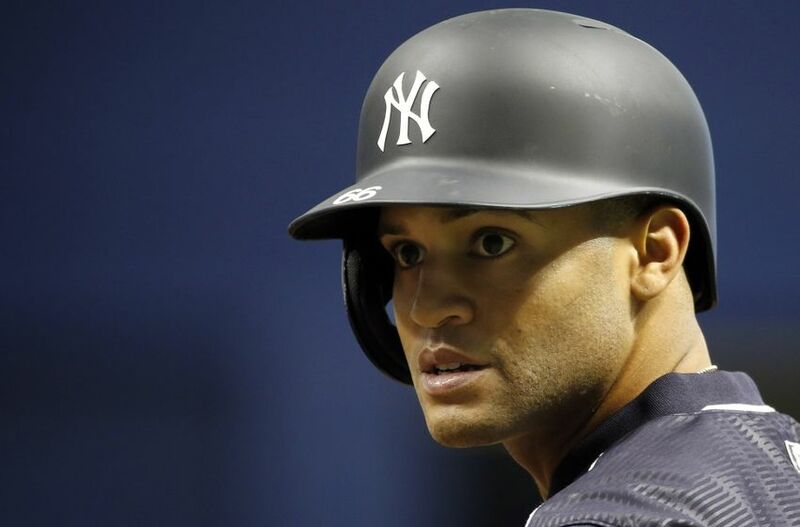 According to Lou DiPietro, a friend of the blog and a member of the YES Network and YESNetwork.com crew, Mason Williams has been cleared to resume baseball activities after sitting out the first two weeks of Yankees spring training camp with a lingering patella tendonitis issue in his left knee. Mason will begin running on Monday and has been throwing at the Yankees minor league complex since camp began. The Yankees will need Mason to be healthy and ready to go as he is the only true and healthy outfielder on the 40 man roster behind Brett Gardner, Aaron Hicks, Aaron Judge and Jacoby Ellsbury. Matt Holliday, Rob Refsnyder and Ronald Torreyes could conceivably play outfield in a pinch and Tyler Austin should be back at the end of spring training camp if all goes well but Mason is more important than ever for New York right now. His health is key to having insurance and depth in the minor league system.